Vastu in Sanskrit means nature , a surrounding or environment. The word “Vastu” came from Vastu, denoting anything existing such as house, shelter,building etc. Shastra in sanskrit means systems. 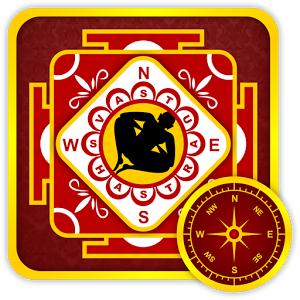 Vastu shastra is an ancient art and science, containing principles and practices of constructing buildings which ensures a harmonious balance between man and nature and thereby bring all round happiness,health,wealth and prosperity. Esshan ie Ishwar(North-east) – He grants us wisdom,knowledge and serve all comforts and relieves us from sufferings. Indra(East) – He is the king of angels. He gives wealth and all pleasures of life. Agni/Fire(South-east) – He gives us beautiful personality and all the best of life. Yamaa or Yamaha(South) – He is god of death.He is embodiment of dharma.He eradicates evils and grants all good things. Nissan or Niruti (South-west) – He vanishes fear about our enemies. Varun(West) – He is god of rain. He showers his blessings through rain and brings prosperity and pleasure in life all round. Vayu/Wind(North-west) – He bestows on us long life,health and strength.He is the basic of all life. Kuber(North) – He is god of wealth.He grants us wealth and all comforts of life.